We are so used to hear of many expensive sports cars, supercars, and hypercars nowadays like Bugatti Chiron, the upcoming Bugatti Divo, Lamborghini Veneno Roadster, Aston Martin Valkyrie, and more… These cars often cost from $1 million to $5 million, or even more. However, in terms of “most expensive cars in the world” (including the classic cars at the current price), those supercars, hypercars are actually not the most expensive. There are many other cars with absurd prices. So with no further ado, let’s check out the top 20 most expensive cars in the world to date! 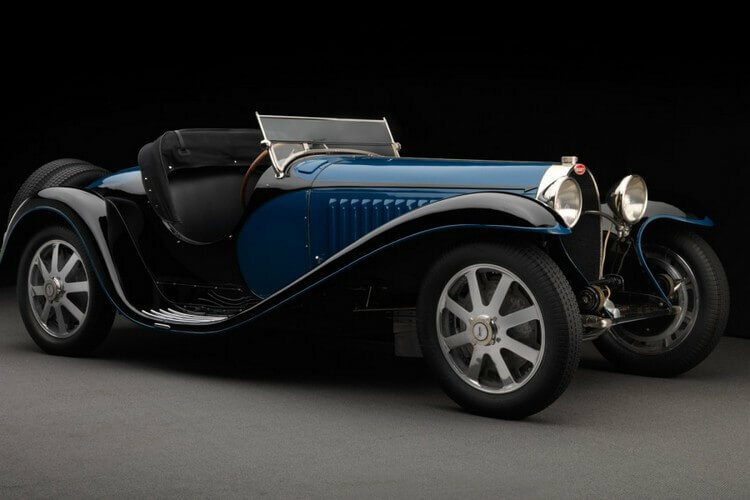 Kicking off the list we have Bugatti Type 55 which originally introduced in 1931 Paris Motor Show. From 1931 to 1935, only 38 units were produced, and one of them with chassis 55201 was bought by the Duke of Tremoille. Most of Type 55s had bodywork designed by Jean Bugatti himself. The car once joined 1932 Mille Miglia and drove by Achille Varzi and Count Bastelbarco. Later on, it got documented in Bugatti Historians Pierre-Yves Laugier and David Sewell. And even to this day, the car got a full restoration in by Marque Authority Laurent Rondoni. Finally, the car was ready at Gooding & Co. 2016 Pebble Beach auction in and sold for $10.4 million. 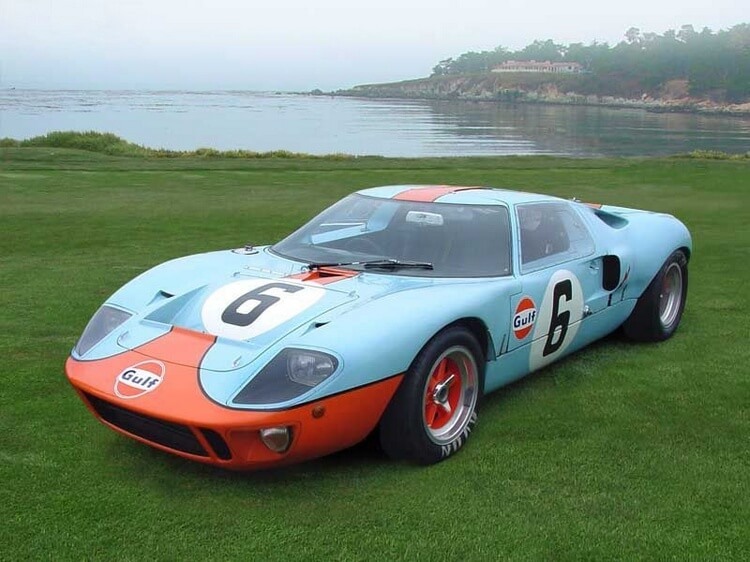 The Ford GT40 is a high-performance race car built in England and produced from 1964 to 1969 with approx. 105 units created in total. The car is named GT40, with “GT” means “Grand Touring” and the number “40” represents its overall height of 40 inches. At the heart of the Ford GT40 is a 4.7-litre V-8 engine or 4.9-litre V-8 later on. What makes the car special is its great history with the famed Gulf/Wyer Partnership. It was the only Gulf team car to win both as a Mirage (’67 Spa) and a GT40 (’68 Monza), and also, drove by famous figures like David Hobbs, Brian Redman, Mike Hailwood, and Paul Hawkins. And of course, it achieved various awards which only make it more valuable. The car was sold for $11.0 million at RM Auction in 2012. 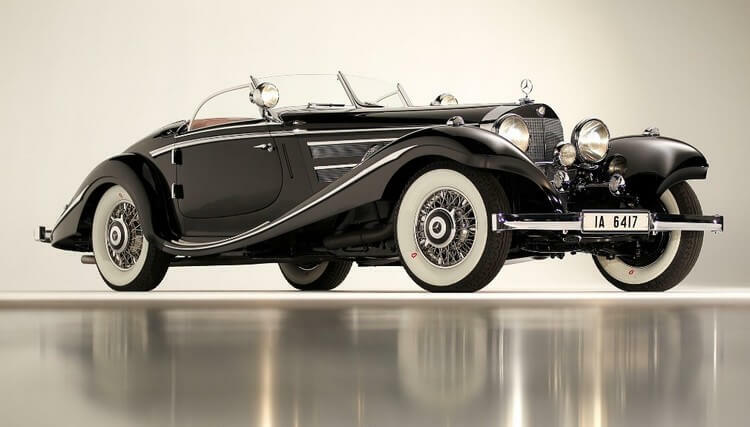 The 1936 Mercedes-Benz 540K Special Roadster, also known as the Von Krieger Special Roadster, is a legendary Mercedes-Benz tied with history. The car is said to be a balance of lines and mass, a perfect sculpture. It possesses the 540K engine which can produce 115 horsepower without the supercharger and 180 horsepower with clutched-in compressor at full throttle, and a top speed of 110 mph. 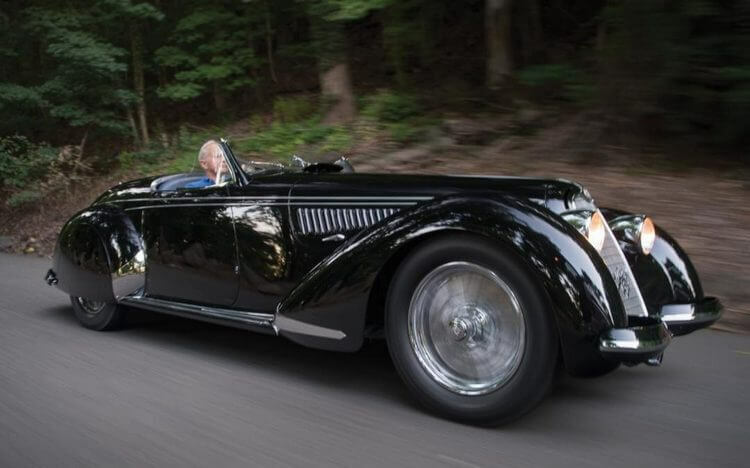 The reason why this “Spezial Roadster” called as the Von Krieger Special Roadster is because of its fascinating history with the German Baroness Gisela von Krieger. It is said that once German Baroness who drove it while hiding in Switzerland during the World War II. Despite her passing in 1989, for some reason the car rested for 40 years in a garage in Connecticut. 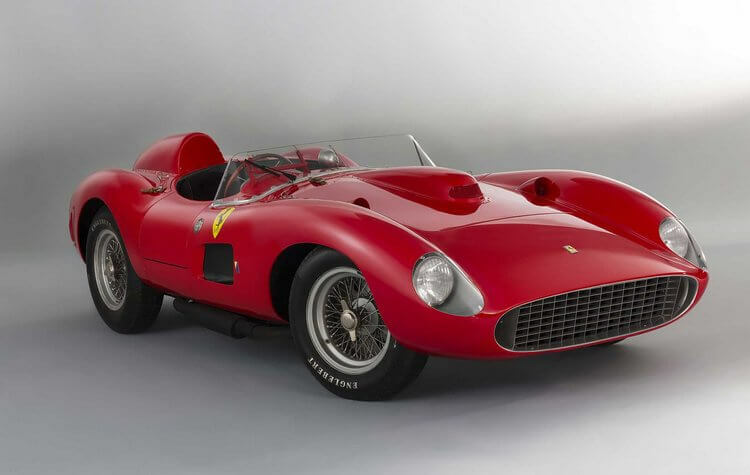 When it was discovered, the car got a proper restoration and in 2012, it was sold at the price of $11.7 million at Gooding & Co auction in Pebble Beach. The original McLaren F1 was far from an affordable car. Back to its first days, the car cost around $1 million. But given the value of the car, we could assume it was worth it. The car was once revered as “The greatest automobile ever created” and “The Most Excellent Sports Car Of All Time”, which pretty much tells us how highly-sought this car is. And just in 2017, a 1995 McLaren F1 was auctioned by its original owner at Bonham’s 2017 Quail Lodge Sale. The car was properly maintained, and, federalized for road-legal use in US. It was sold at the price of $15.6 million, which is approx. 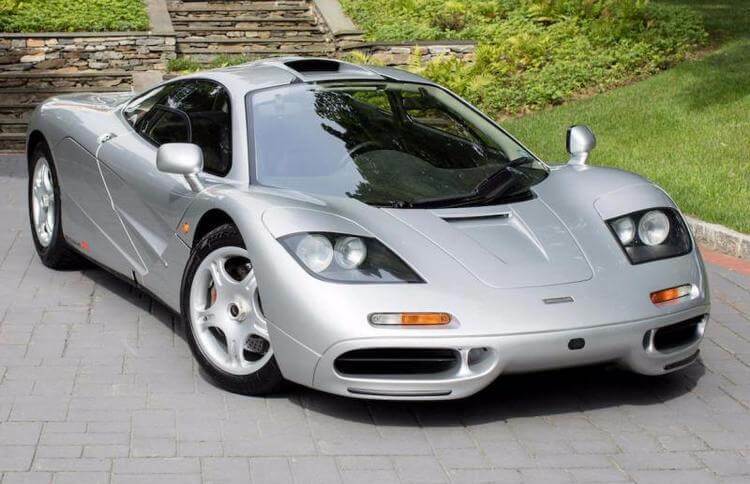 15 times of the McLaren F1 original base price. The 1962 Ferrari 250 GT SWB Berlinetta Speciale is a special car thanks to its origin. 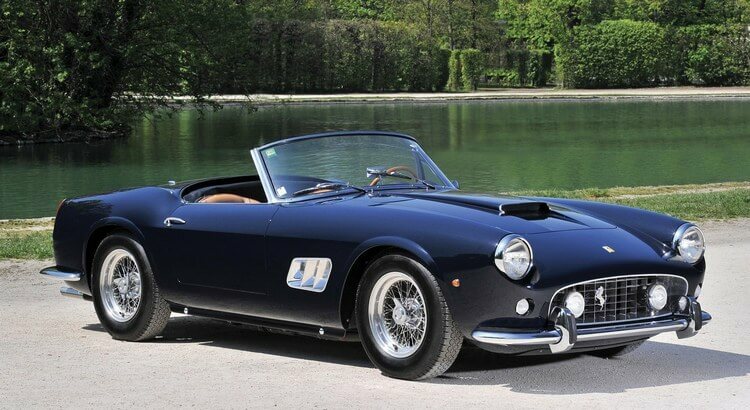 It is an one-of-a-kind Ferrari 250 GT SWB designed by the “rookie” Giorgetto Giugiaro at Carrozzeria Bertone. Ever since its first debut in Geneva Motor Show 1962, the car has been a stunning feast for the eyes for many car enthusiasts and the media. The car was originally owned by Giuseppe “Nuccio” Bertone; however, it was mostly as a show car to represent the pinnacle of Ferrari’s design. Later on, it was sold and traded times to times. It was also used as daily ride for 13 years by a musician. And in 2015, this unique ride was finally sold at $16.5 million at Gooding & Co. Pebble Beach 2015 auction. Originally the 1957 Ferrari 250 Testa Rossa was the enhanced racing sports car built from 1957 to 1961. 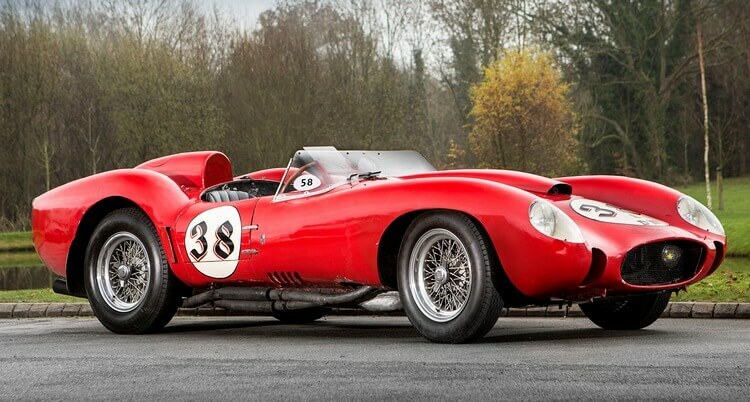 The aim of this car was to improve on the 4-cylinder 2.0-litre 500 TR/500 TRC Testa Rossa by using the more powerful Colombo-designed 3.0-litre V-12 from 250 GT series. Aside from the engine, the car also got improved chassis and bodywork. So what was the result? 1957 Ferrari 250 Testa Rossa turned out to be a massive success. It claimed numerous racing achievements, including its winnings at the 24 Hours of Le Mans in 1958, 1960, and 1961. When it was put on Gooding & Co. Pebble Beach 2011 auction, naturally we can expect a huge price from it ($16.3 million to be exact). 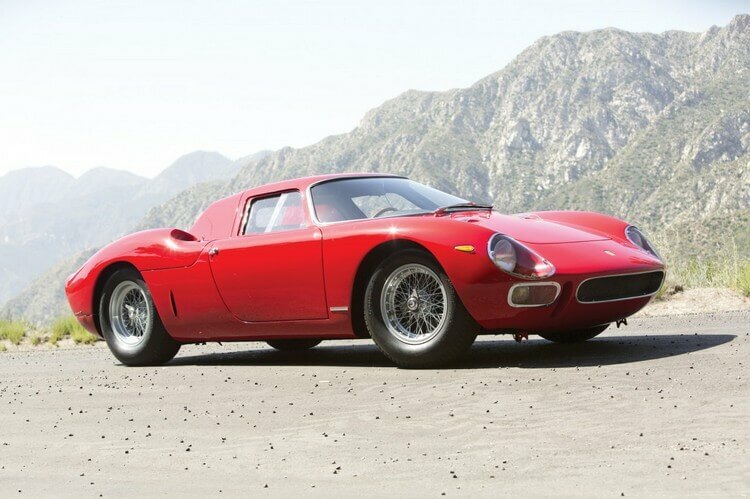 There was a number of 1964 Ferrari 250 LM auctioned, but this particular Ferrari 250 LM is supposed to be the most expensive one to date. Only 32 units of this Ferrari racer were built and this Ferraro 250 LM is the 23rd car, which is also the best maintained. Just like the Ferrari 250 Testa Rossa, the 1964 Ferrari 250 LM got numerous achievements throughout its prime, thus gaining huge population thanks to Ron Fry, David Skailes, and Jack Maurice. More importantly, this particular Ferrari 250 LM still retains all of its original components. And for all of these reasons, the car became a highly-sought classic car which was sold for $17.6 million at RM Sotheby’s Monterey 2015 auction. 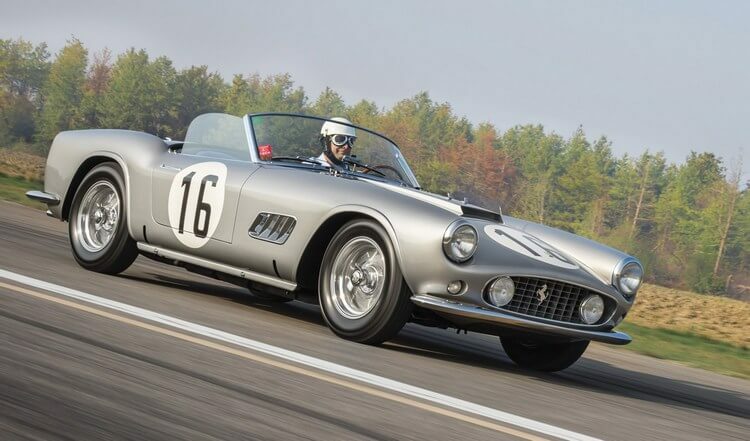 This beautiful 1959 Ferrari 250 GT LWB California Spider is an extremely rare race-car which still has all of its components intact to this day. The car is one among just eight built with an aluminum body. It achieved a third place in its class and fifth place overall in Le Mans, making the car even more famous not only because of its rarity and its glorious racing record. In 2017, it was put on RM Sotheby’s New York auction. Due to its incredible story, RM Sotheby’s expected it to be sold at the price of $14 million – $17 million. And ultimately, it was sold for $17.9 million, nearly reached $18 million. This special 1954 Ferrari 375-Plus is not only rare car, it is also a car of incredible racing history. Back to the day, there were only five of it built. The car got a 4.9-liter V-12 engine with 330 horsepower at heart, along with aluminum barchetta bodywork by Pininfarina. In 1954 Le Mans 24-Hour race, the car was drove by Umberto Maglioli in the Mille Miglia, then piloted to victory by Froilan Gonzalez at Silverstone. The car was put on Bonhams auction during the 2014 Goodwood Festival of Speed and finally this super-rare car was sold for $18.3 million. Sometimes you may find the most valuable treasures at places you did not expect most. That was exactly what happened with this 1961 Ferrari 250 GT SWB California Spider, along with the famous Baillon Collection in late 2014. This 1961 Ferrari 250 GT SWB California Spider in particular was one of 37 California Spider SWBs with covered headlights. It was regarded as one of the most beautiful cabriolet of the second half of the 20th century. More importantly, it has an incredible history, one of which is that it was once owned by the famous movie stars Alain Delon. Clearly all of its awesome stories, the car definitely would not come out cheap. 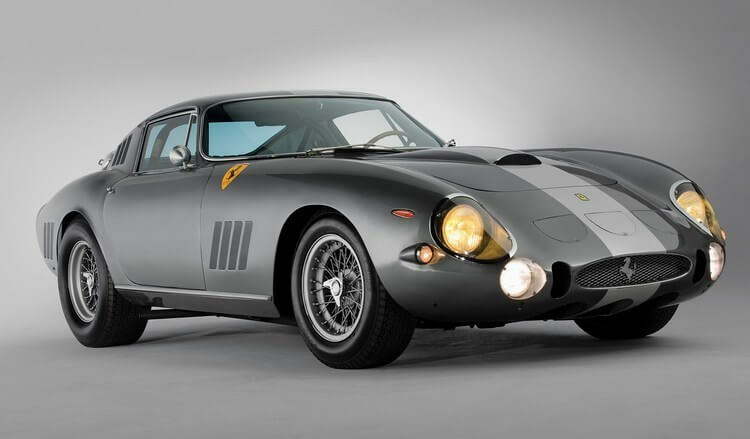 In fact, it was sold for € 16.2 million (or approx. 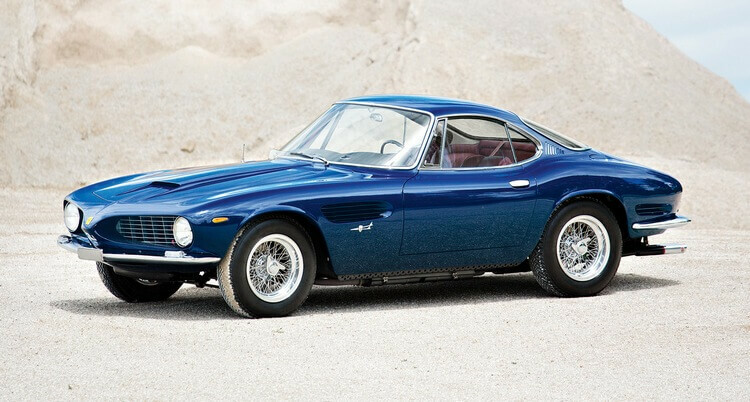 $18.5 million) at 2015 Artcurial auction. Pre-war classic car always has a place among rare collectors. The 1939 Alfa Romeo 8C 2900B Lungo Spider is also one such case with its special origin. The car in fact is one among the rare 12 cars fitted with Touring Spider bodies. Its story was written by marque authority Simon Moore in The Immortal 2.9: Alfa Romeo 8C 2900 and furthermore, it is considerably an equal to the legendary Bugatti Atlantic at its generation. This unique car was put on RM Sotheby’s Monterey 2016 auction and sold for $19.8 million, making it one of the most expensive pre-war cars to date. In number 9 we have an extremely special Jaguar: the 1955 Jaguar D-Type XKD 501. 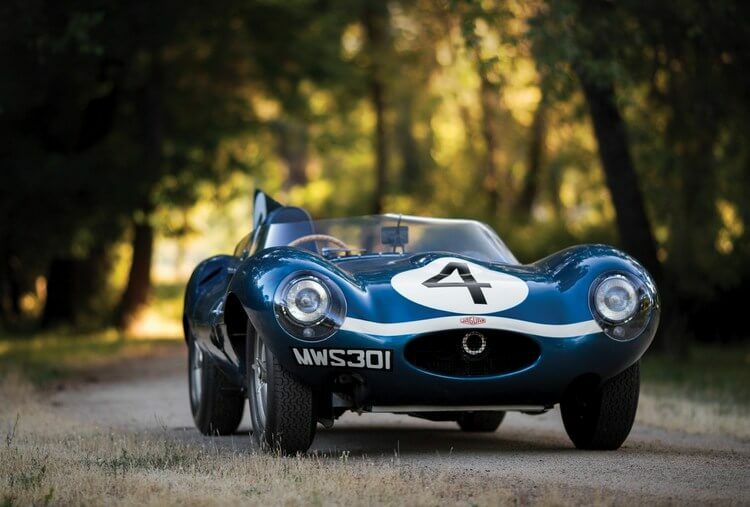 It was built in 1955 as the very first D-Type production and specifically designed for Ecurie Ecosse. Driven by Ecurie Ecosse, the Jaguar D-Type XKD 501 was the legendary winner of the 1956 24 Hours of Le Mans. Even after Ecurie Ecosse, it only had 2 private owners, while still had the original form after all these years. Nonetheless, this car is no doubt the most precious Jaguar to date. In fact, it was sold for $21.7 million at RM Sotheby’s Monterey 2016 auction. Back in 2016, the 1939 Alfa Romeo 8C 2900B Lungo Spider was thought to be the most expensive pre-war car at the price of $19.8 million. But that record is now exceeded by this 1935 Duesenberg SSJ, which was sold for $22 million just recently at Gooding & Co. Pebble Beach 2018 auction. This car is exceptionally rare since there were only 2 of it built in 1935. It was built with Special Short Chassis Model J, along with the 7.3-litre twin carbureted supercharged engine. The 1935 Duesenberg SSJ was once a part of the Briggs Cunningham Collection and the Miles Collier Collections, and especially, the famous actor Gary Cooper’s garage. No wonder why the car reached $22 million price point. Aston Martin DB5 might be forged Aston Martin’s brand into film history as it was James Bond’s ride of choice. 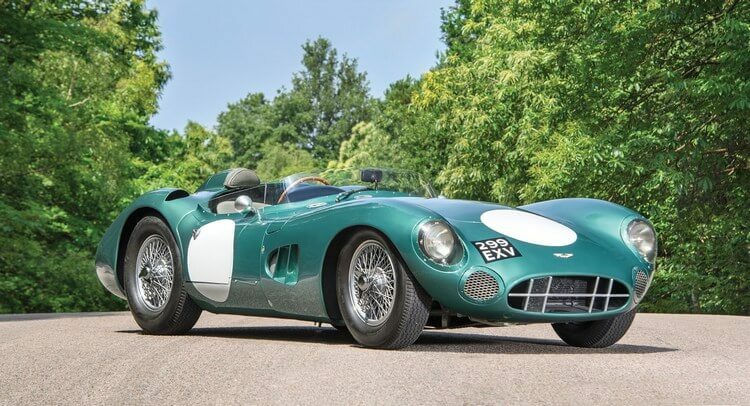 However, it was not the only car which made the name for Aston Martin; in fact, it was the 1956 Aston Martin DBR1/1 which considered is arguably the most important Aston Martin to date. It was the first among the five DBR1s and also, the winner of the 1959 Nürburgring 1000 KM. Many famous figures also got their hands on this ride like Roy Salvadori, Stirling Moss, Jack Brabham, and Carroll Shelby. Even to this day, the car is still in high condition as it was maintained by Aston Martin specialists R.S. Williams. Ultimately, this 1956 Aston Martin DBR1/1 was sold for $22.5 million at RM Sotheby’s Monterey 2017 auction. Talking about rarity, there were only 3 of this production lightweight 275 GTB/C Speciale built by Ferrari, making it even rarer than the Ferrari 250 GTO. Furthermore, this Ferrari 275 GTB was originally designed by Pininfarina with the bodywork done by Scaglietti. It equipped with a 320-hp V-12 engine with six Weber 38 DCN carburetors at heart, along with a five-speed manual transaxle transmission. Even now the car’s original build stays relatively the same. And if we consider its great history of finishing third overall in 1965 24 Hours of Le Mans and more, it is only naturally when this car got a crazy price of $26.4 million at RM Sotheby’s Monterey 2014 auction. The 1967 Ferrari 275 GTB/4*S N.A.R.T. Spider is another extremely rare Ferrari with only 10 units have existed. All of them could only be bought from Luigi Chinetti, owner of the North American Racing Team (which also explains the name “N.A.R.T.”). 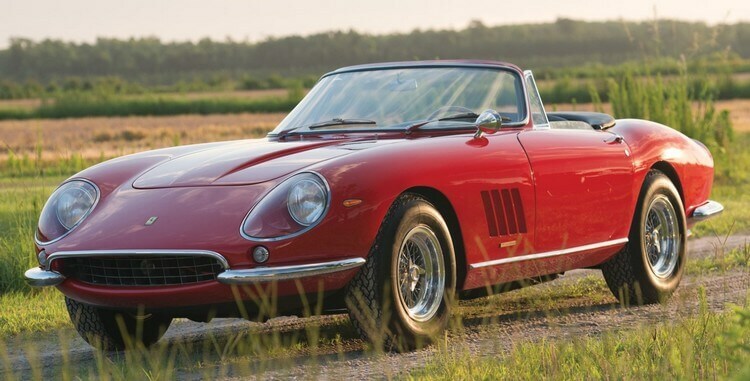 This Ferrari 275 GTB/4*S N.A.R.T. Spider in particular was bought by Eddie Smith of North Carolina who used the car for 45 years. When Eddie Smith passed away in 2007, the car was kept by his son Eddie Jr. Yet, he believed that the car would be of waste if he just kept it his hangar. And so, he decided to put it on RM Sotheby’s Monterey 2013 auction. The car was eventually sold for a shocking price of $27.5 million and the revenue coming from the auction was used for charity. Once again we have a hyper-rare Ferrari race car: the 1956 Ferrari 290 MM and this car has an exceptional racing history. This chassis-0626 Ferrari 290 MM was originally built for the famous racer Juan Manuel Fangio who once dominated the Formula One racing. In 1956, Fangio brought this car onto the 1956 Mille Miglia, solo, and despite the Italy’s torrential rains, Fangio and his trusty Ferrari still managed to finished fourth overall. 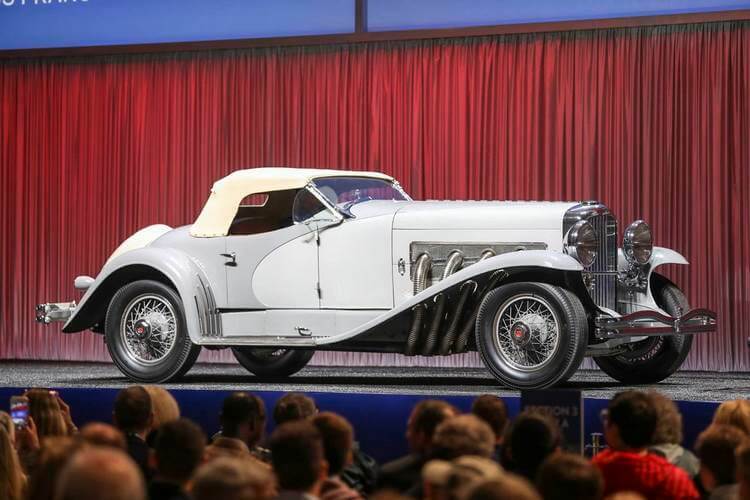 In RM Sotheby’s New York 2015 auction, the car was sold for $28.05 million. 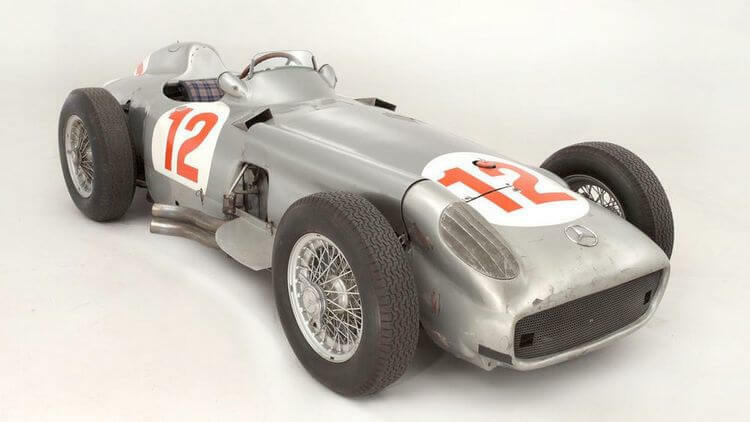 Yet another race car drove by Juan Manuel Fangio, this single-seater 1954 Mercedes-Benz W196 had an exceptional career, specifically it’s winning with Fangio in 1954 German & European Grand Prix at the Nurburgring, and then a second consecutive victory in the 1954 Swiss GP at Berne’s Bremgarten circuit. The car is not only rare because of it’s an outstanding racing record but also because it is the only model with chassis 00006/54 owned by private hands. The car was ultimately sold for a whopping $29.6 million at Bonhams auction in 2013 Goodwood Festival of Speed. 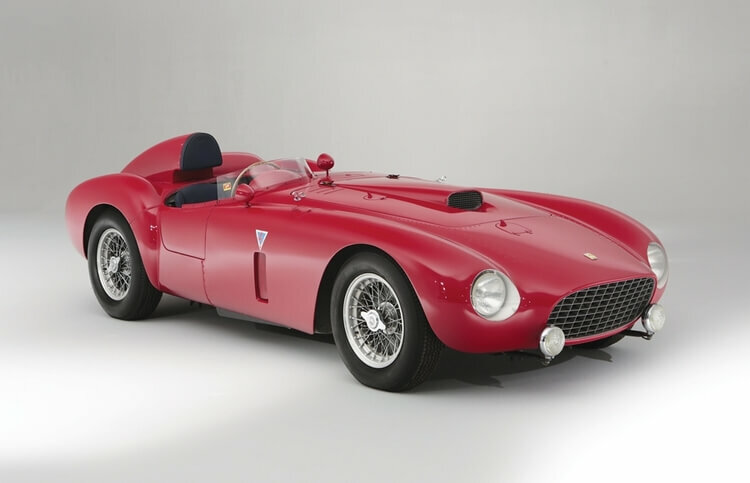 Coming in second place among the most expensive cars to date, we have 1957 Ferrari 335 Sport Scaglietti. It is a car of incredible racing history with various achievements: It was once drive by Hawthorn and Musso and finished fourth at 1957 Swedish Grand Prix. Then at Venezuela Grand Prix, the duo hit the second place with the car, and ultimately got the championship for Ferrari ahead of Maserati. The car was sold for $35.7 million at the Artcurial Paris Rétromobile 2016 auction. Back in 2014 Bonhams Quail Lodge Auction, there was already a 1962-1963 Ferrari 250 GTO Berlinetta sold for $38.1 million. And in 2018, the 1962 Ferrari 250 GTO once again broke the record as one more car of its kind was sold for $48.4 million at 2018 RM Sotheby’s auction in Pebble Beach Concours d’Elegance. Originally, there were only 36 Ferrari 250 GTO built from 1962 to 1964. Racing-wise, the car reaped many grand achievements, including its dominance winning in 1963 and 1964 Tour de France Automobile. Even to this day, it is still among the hottest cars to date, featuring various awards like being number eighth among Top Sports Cars of the 1960s (by Sports Car International in 2004) and even nominated as the top sports car of all time. Motor Trend Classic also put it first on the “Greatest Ferraris of All Time,” while Popular Mechanics considered it as the “Hottest Car of All Time.” Such huge achievements should explain why this car was sold for $38.1 million. And that’s it folks! Those are the top 20 most expensive cars in the world to date! Thank you and stay tune for more news in the future!